Fashion and fitness combine to keep busy moms looking great while they balance life and work. There are a few things in my life that I put faith in to keep me grounded and focused when my path seems to get off-course. I am passionate about my livelihood and aware that there are many people who do not have the luxury to adore their job; I try to remind myself of this blessing. I am also fortunate to be able to physically run, jump, kick and punch my way through workouts to alleviate all anxieties; I am grateful for my health. However, above all else, I am extraordinarily privileged to be a mother. Whenever life throws me a curveball, it’s my role as a “mom” that saves me. Regarding her latest undertaking, Core Creations, Munoz has found a way to unite two loves — fashion and fitness. The lifestyle-clothing brand is designed with the intent to be the core of your workout-to-street wardrobe. Core Creations, co-designed with Carrie Lacciardi, who is also the designer for Pret a Porter Designs, functions to transition naturally from the gym to everyday realities. Made in the United States, these simple, modern shapes and high-performance organic fabrics are not only ideal for a healthy, active lifestyle, but can complement existing pieces in a woman’s wardrobe. Core Creations’ tanks, blouses and pants can effortlessly shift from the dance, yoga, or Pilates studio into a chic and comfortable ensemble appropriate for errands or social outings, for an on-the-move mother or even an office worker. The Spring/Summer 2014 collection comes in vibrant hues that flatter all skin tones and technically tested fabrics certain to stand up to all your power workouts and power lunches. Munoz continuously finds inspiration from her family and clients; it is because of these individuals that she is endlessly motivated to make positive differences through business practices and with her children. “My goal every day is to make a difference in at least one person’s life,” Munoz says. Reciprocally, her clients are also unceasingly inspired by her. “When an individual comes to you and says, ‘My life is better because of you,’ the powerful emotion I encounter as a consequence of that statement keeps me going,” Munoz explains. 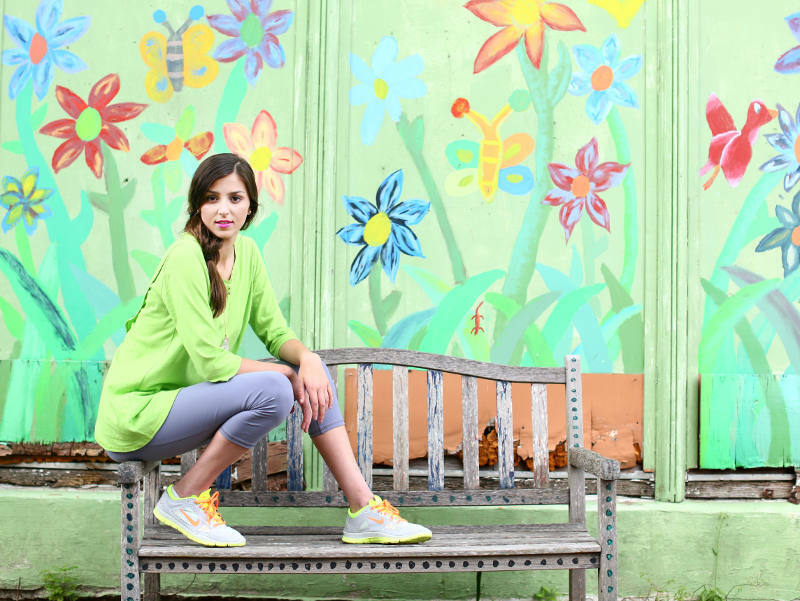 As a result of efforts to encourage a fit and active life, her Core Creations brand will donate 20 percent of sales on its “Kale” top to the Edible Schoolyard New Orleans. 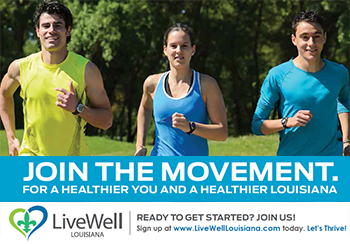 Munoz and ESYNOLA share a mission to improve the well-being of all lives through a healthy lifestyle.